It was a very exciting time for Derek. 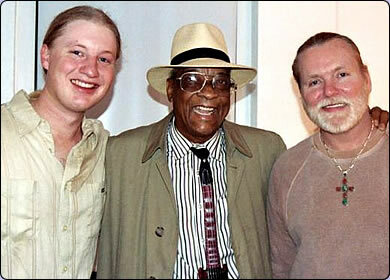 The Derek Trucks Band’s Songlines was about to come out. 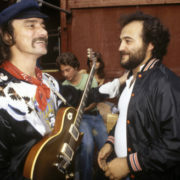 He had just recorded The Road to Escondido with JJ Cale and Eric Clapton and was about to set out on a world tour with EC and he was still riding high with the Allman Brothers. Enjoy. The whole music world is about to find out what Allman Brothers fans and jam band aficionados have known for years: Derek Trucks is a strikingly original musician redefining the slide guitar. 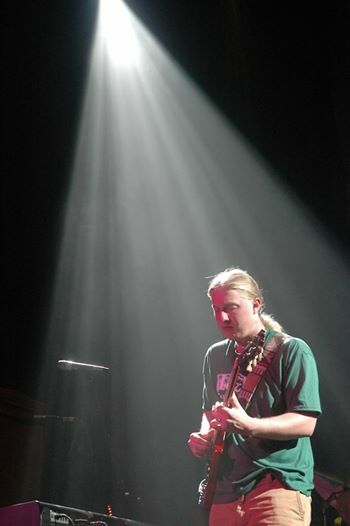 Derek Trucks. After releasing Songlines, his own band’s sixth and best album, Trucks has joined Eric Clapton’s band for a year-long world tour, while an album they recorded together will be released this fall. 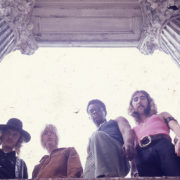 Trucks also remains a member of the Allman Brothers Band, who have restructured their touring schedule to keep him on board; they will hit the road during Clapton’s down time. Trucks’ rising profile is no surprise to anyone who has been watching his very public development. 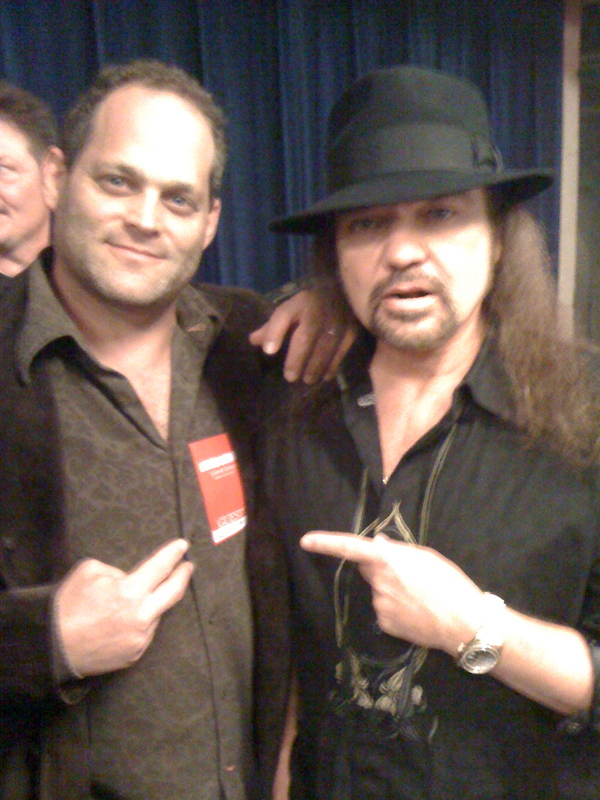 He has been touring since he was 11, released his first album when he was 17 and joined the Allman Brothers when he was 19. Now 26, Trucks is an endlessly inspired and crafty guitarist, equally capable of playing tasty, minimalist fills or extended improvised solos that never fail to surprise. Always tuned to open E and never using a pick, Trucks has established a wholly individual sound, incorporating Indian classical music, “sacred steel” gospel and jazz into a more classic and rock and blues base. 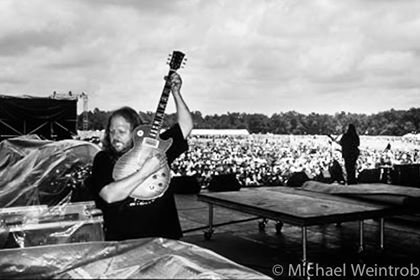 Trucks was first featured in the pages of Guitar World 15 years ago as a pre-teen Florida phenom with a freaky ability to mimic slide great Duane Allman. He has come so far because, unlike many child prodigies, his own virtuosity never blinded him to the larger picture – seeking to create great music. Instead, he has constantly pushed himself further, exploring the very boundaries of slide guitar. “I started playing slide when I was 9 years old,” says Trucks. 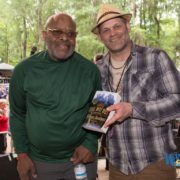 “I was trying to sound like Duane and [bluesman] Elmore James and it was also easier on my little hands – it didn’t hurt as much. Eventually, as I got deeper into it, I felt like slide guitar, by being fretless, had less limitations and allowed me to get more of vocal, nuanced sound, which was my goal. One reason for the lack of exploration of rock slide guitar is the fact that Allman, its greatest practitioner, died when he was 24, and only just beginning his sonic explorations. 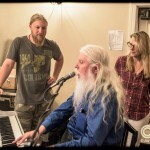 In many ways, Trucks has picked up where he left off; mastering Allman’s music has been a starting point for Trucks, rather than a destination. How did you come to be a member of Eric Clapton’s band? 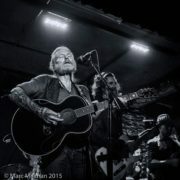 TRUCKS: Out of the blue, I got a call from Doyle Bramhall saying Eric wanted me to come record with him. I was shocked and thrilled and flew out to L.A. having heard no music. The sessions were very laid back and all the tunes went down really smoothly. Being in the studio with people you don’t know can be really tense and frustrating, but this was natural and comfortable. In addition to meeting Eric, I also met JJ Cale who produced the session and Billy Preston, who played keys and that was also really exciting. It was one of those things where even as it is happening, you know it’s something you’ll remember forever and will end up being a career highlight. It has been said that Eric is recreating Derek and the Dominos with you in the Duane role. I know that is the perception of some people the outside but that’s not what’s really going on. I have not heard Eric or anyone from the inside say that. I don’t really want to be compared with Duane again, but it is inevitable that will come up since I am jumping from the Allman Brothers to Eric Clapton. I just want the chance to do this on my own terms and the fact is no matter what anyone says or where you’ve come from, you have to make it happen. Once you’re in the studio or standing up on stage, no one cares about anything except whether or not you can deliver the goods. What is your role in Clapton’s band? How much will you be playing assigned parts versus ripping improvised solos? I have no idea. It’s actually really exciting to go into such an unsure situation and to think about playing a gig where 95 percent of the audience has no idea who I am. It’s a real luxury to play with a great band without expectations that you should be carrying the show. You are going to have a very busy year. To say the least! 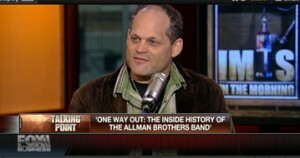 [laughs] Eric basically tours one month then takes a month off and during those times I will go straight into an Allman Brothers tour. And my guys [the Derek Trucks Band] will be opening a bunch of the ABB shows. With Songlines coming out and the band reaching a point I feel very good about, I have to do whatever it takes to keep it going and that means working more than usual. It will be an exhausting year but it’s a really exciting time for me. Opportunities like this Clapton tour don’t appear too often and you have to seize them when they do. You can work out the details later. On Songlines, you again play everything from Delta blues to Indian classical music, but it somehow feels more unified than it has on your previous albums. Thanks. That is the goal. In the past, people have complained that we sounded like three or four different bands on one record and I thought they had a point. That is less and less the case, as we solidify a band sound regardless of what we are playing. That has been for the last two or three years and the recording felt like the culmination of that process. This is our first record that I can enjoy listening to instead of only hearing a million things I wished I could redo. Though still very raw by contemporary standards, Songlines is also more produced and polished than your previous efforts, utilizing a variety of tones and more multi-tracking. We really wanted to utilize the studio, not just capture a great live performance. We wanted to air things out and do something a little different. We have always taken pride in capturing songs in one or two takes but we were much more open minded this time. We were striving to make a great album, which is kind of a lost art, especially in this little [jam bands] scene we find ourselves in. We have approached previous albums by writing out a set list and seeing if we can capture a great performance. But now we have recorded an actual live album [2004’s Live At The Georgia Theatre] and it was time to try something else. At 26, you have already been a touring musician for over 15 years. Has the perception of you has changed now that no one can say, “He’s really good for a kid”? It’s really nice to get away from the kid thing. The novelty tag helped us at the start — it probably kept us on the road by keeping the interest up –so I don’t want to say anything too negative about it. But it is definitely nice to move beyond that and have the music taken at face value. http://alanpaul.net/wp-content/uploads/2011/12/27_trucks_allman.jpeg 280 390 AlanPaul http://alanpaul.net/wp-content/uploads/2014/03/alan-imus-300x158.jpg AlanPaul2016-01-26 20:08:092017-07-01 20:01:08Derek Trucks 2006 interview: "It’s really nice to get away from the kid thing."